In this series of articles we have been discussing how to enable a service value approach that leverages a Service Portfolio with services defined and delivered to meet customer needs. The services are based on what you sell, not what you do. This is important as you try to dispel the common perception that “IT costs too much” which makes budget planning season so difficult. Now we turn our attention to aligning these capabilities with financial management and business planning activities. 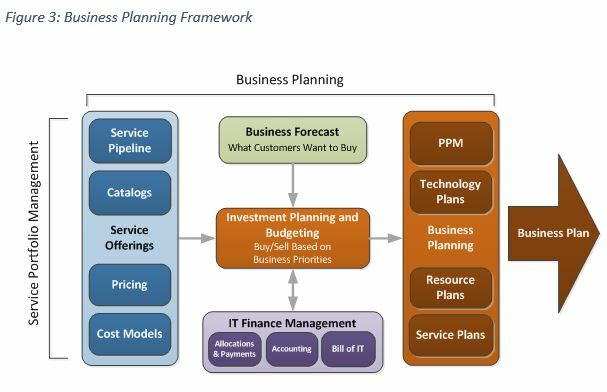 Figure 3 provides a visual of the elements of a business planning model that includes Service Portfolio Management and investment based budgeting. Most organizations have elements of this in place today. The new aspects are the customer aligned service offerings with cost models and pricing based on what we sell and an investment based budgeting mechanism focused on buying and selling services. The other elements should look familiar and with a little tweaking can accommodate an investment based budgeting approach. This model does not have to include complex chargebacks or cost models to be effective. That’s ultimately possible, but not necessary to enable effective Service Portfolio and investment based budgeting. The goal is to understand cost drivers for your services, manage supply and demand and build a forward looking budget based on what your customers want to buy. Transparency is also achieved, but it looks different than simply providing a bill of IT or a “show back” mechanism. These can be useful for providing an “after the fact” perspective; showing what was spent last month or last quarter, but they provide limited help in managing service investments. With Service Portfolio based budgeting, transparency now includes customer centric services with a forward looking plan and a budget that provides you the ability to manage technology products and services like a business. Your customers will be pleased to engage in discussions that are focused on services and investments that translate directly to the needs of their business. They will defend those investments because they understand the value proposition. You get to run your organization like a business – making budgeting decisions based on selling your services.